Micah has worked as a singer, songwriter, and guitarist for nearly two decades. He performs regularly with the alt-acoustic group Nitrograss, which he co-founded with his friend and fellow musician, Charles Wood, in 2010. 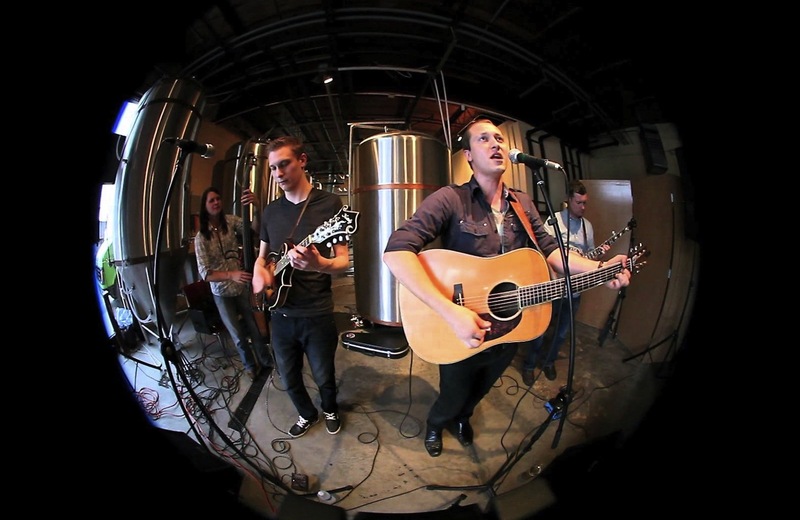 In addition to the acoustic music Micah writes and performs, much of the music featured on his various podcasts is produced in-house, featuring compositions written and performed by Micah, his brother Caleb, and other fine talented musicians they frequently work with. In addition to Micah on guitar and vocals, Nitrograss features Caleb Hanks on mandolin and vocals, Dakota Waddell on bass, Tim Gardner on violin, and two-time national champion Charles Wood on banjo. 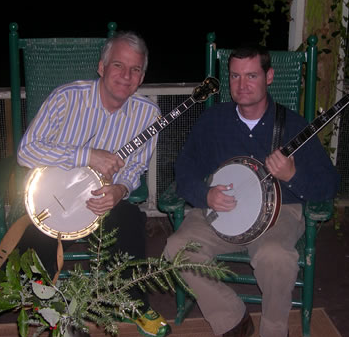 Charles Wood, the most prolific instrumentalist in the band, has made appearances alongside comedian Steve Martin (pictured together at right) on The David Letterman Show (click here to view) as well as broadcast performances on programs like The Prairie Home Companion and several others. His most recent accomplishments also include being a general thorn in Micah’s side on a weekly basis… but hey, what are friends for? 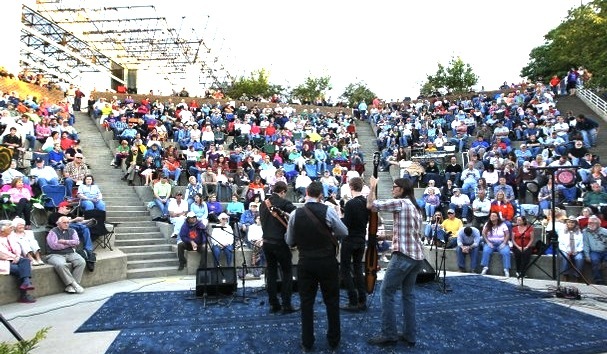 Nitrograss performs dozens of shows throughout the South Eastern United States each year, and you can view their tour schedule to find out when they’ll performing at a town near you. Image above courtesy of Anderson SC Independent Mail. Image (top) courtesy of Robert Stoutamire, 2013.